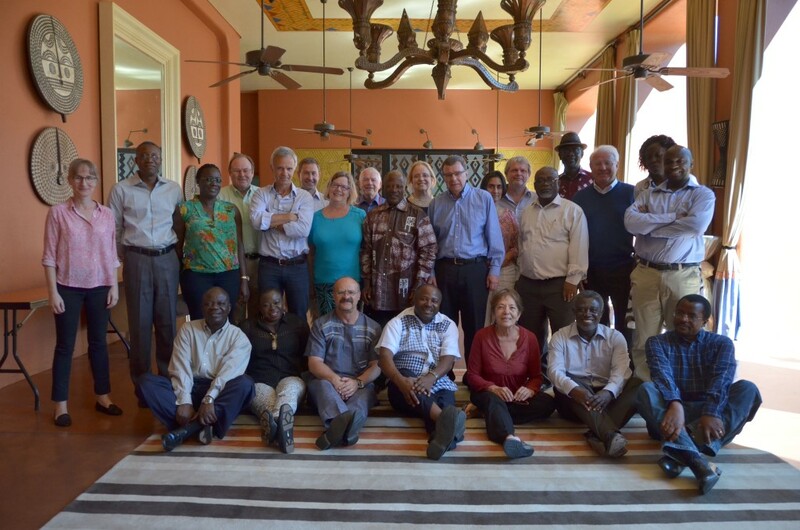 From 4 to 6 May, the IITA Board of Trustees (BoT) as well as members of the Institute’s Management and Directorate were in the picturesque town of Livingstone in southern Zambia for the first of their two annual meetings for 2015. Figuring prominently in their agenda were the current financial and governance crises within CGIAR; these were outlined in the mid-term report submitted by the Director General, Dr Nteranya Sanginga, to the Board and circulated to IITA staff. IITA BoT members with IITA management and directorate. However, Dr Ken Dashiell, Deputy Director General for Partnerships & Capacity Development, pointed to communication as a specific area that the BoT highlighted with regard to these strategies. “Time and again, during the course of discussions, the role of communication came out as a common salient point,” Dr Dashiell said. need to enforce our image and credibility as the lead international agricultural research institution in Africa that plods on, despite these challenges. This, then, would make our supporters see that investing in us is well worth it,” he added. Dr Dashiell mentioned IITA Youth Agripreneurs and the Business Incubation Platform as examples of the many successes upon which the Institute must build. Welcoming the IITA Board to Livingstone, Dr David Chikoye, Regional Director for Southern Africa, said, “It is good to have the Board here (again) in Zambia. This is also a good opportunity to showcase Zambia – Livingstone in particular – as a prime destination, especially in the light of the conference that we will be holding here in 2016. I am formally inviting the Board members and IITA Management to attend this event.” Dr Chikoye was referring to the Global Cowpea and Legume Conference that IITA will be co-hosting in February-March 2016 in Livingstone. This will be an African signature event to mark 2016 as International Year of Pulses, as declared by the UN.